The Chiappa Rhino is the final design of Italian gunmaker Emilio Ghisoni (1937-2008) and an associate named Antonino Cudazzo. Prior to this design, Ghisoni's company Mateba produced several firearms with unique designs. 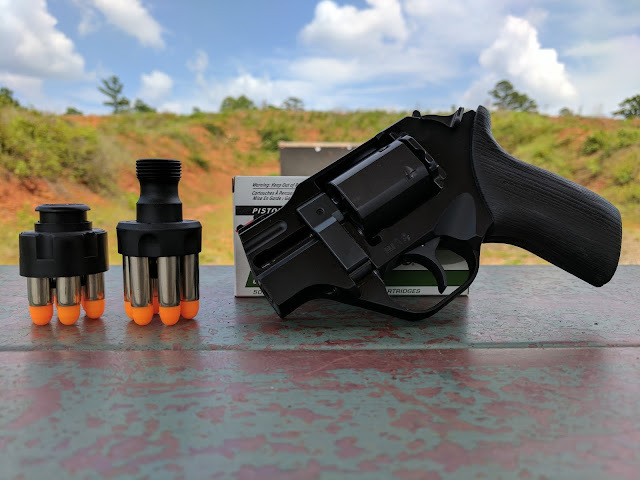 Two revolvers, the 2006M and the 6 Unica, both utilize barrels that align with the bottom chamber of the cylinder rather than the traditional top chamber. I assume you are thinking something like, "Why?" Well, I'm glad you asked! The theory behind the design is two fold: reducing felt recoil and minimizing muzzle flip. The next question you must be thinking is "Does it work?" To that I say "Absolutely!" but with a caveat. Since you can't cheat physics, that energy has to go somewhere. The muzzle rise is reduced as a result of less pressure at the wrist, but the recoil is transmitted straight down the arm. 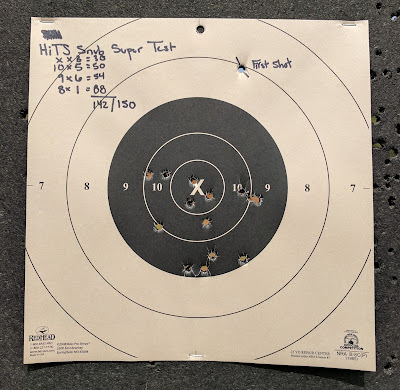 This permits the use of heavier loads as it significantly reduces flip, which results in faster followup shots. Despite this improvement, many contend that the traditional revolver design is perfect as is. The chief complaint seems to be that the Rhino is, well, ugly as sin. Even more so, many people seem to think the low bore axis does not impact the recoil impulse enough to justify a redesign of the classic revolver model. On the other hand, I personally think it looks like something transported back in time from the future. There is a good chance that you have seen this design as a prop in a movie or equipped it in a video game. Why? Simply because it looks cool. The measurable benefits of this the futuristic design are what sold me on this particular model. Ghisoni's revolvers are the first to effectively place the bore at this lower position and change the effect recoil has on the shooter. The design is more than a novelty and I hope this review shows the Rhino as the logical evolution of the classic six shooter. Aside from the innovative barrel placement and the slab sided cylinder, the remaining specifications are relatively normal. The cylinder latch opens with downward pressure and is located in the rear on the left side of the frame. This particular model of Chiappa Rhino is the the 200DS, with the DS short for Double Action/Single Action. In place of a traditional hammer, this wheel gun uses a cocking lever spring back forward when cocked, doubling as the rear sight. The front sight is a red fiber optic which is very easy to pick up through the rear notch. When cocked, a small red tab is exposed notifying the user of the firearm's condition. The stock trigger is nothing two write home about and pulls between between 10 and 11 pounds although it feels a bit lighter due to the smooth wide face. A trigger kit is available but at $250.00 for installation, the stock trigger will do just fine. To reduce the overall weight, the frame is machined from a block of aluminum alloy. Barrel, cylinder, recoil shield, and the majority of internal parts are steel. The revolver is comfortable both in hand or resting in a belt holster only measuring approximately 6.5 inches long and weighing less 25 ounces. Despite the relatively light weight, the lower bore axis really helps to mitigate excessive recoil. The stock grips are made of a lightly textured rubber. While a bit small, they absorb some of the energy. I have also fired this model with factory wood grips but they did not feel as comfortable. The wood grips are attractive and come several color variations in both medium and large sizes to accommodate different grip sizes. One of the best decisions Chiappa made was to offer the Rhino cylinder machined to accept full moonclips. Moonclips are thin pieces of spring steel that hold casings in the pattern of the cylinder. More on this below. Comp IIs, SL Variants and loaded moonclips travel in this box. I have tried HKS (model MK3-A), Safariland Comp IIs (model J-R4C), and S. L. Variants (model L-241) speedloaders. I prefer using S. L. Variants as they reload the fastest. The Comp IIs are also very quick to reload if S. L. Variants are unobtainable. I mentioned above that the Rhino is cut for moonclips at the factory. Compared to speedloaders, moons are lightning fast. This is the first clipped wheel gun I have had the chance to operate. In my experience, these clips eject smoothly and when everything lines up, load even faster. Problems only occur when these thin metal clips are bent or when the metal is too thin to securely hold all the cases in the proper orientation. I've mentioned before that shooting the Rhino is a very interesting experience. The low bore axis allows for more powerful loads to be shot in greater numbers before fatigue sets in. Recoil is not eliminated, something I've heard in conversation, but redirected to take less of a toll on the shooter. While people may question the odd appearance, the design just works. My favorite defensive load is the Speer Gold Dot 135gr + P Short Barrel. The Rhino recoils less than steel framed 3" Smith and Wesson, which is nearly a half a pound heavier! That is pretty impressive. 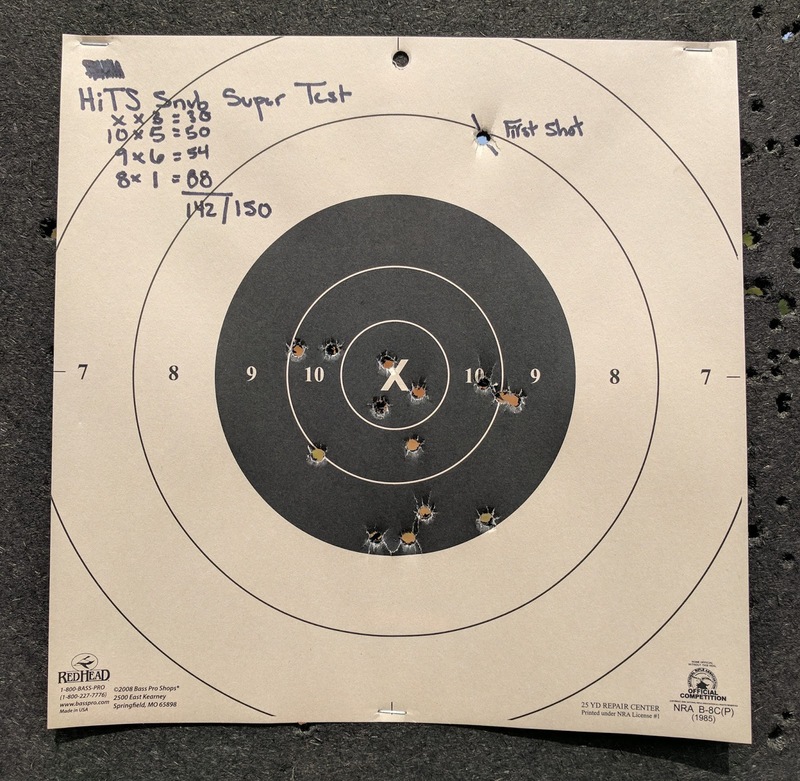 5 rounds in 8 seconds from 10 yards. 5 rounds in 5 seconds from 5 yards. 5 rounds in 3 seconds from 3 yards strong hand only. the Rhino a snubby is a bit of a stretch. 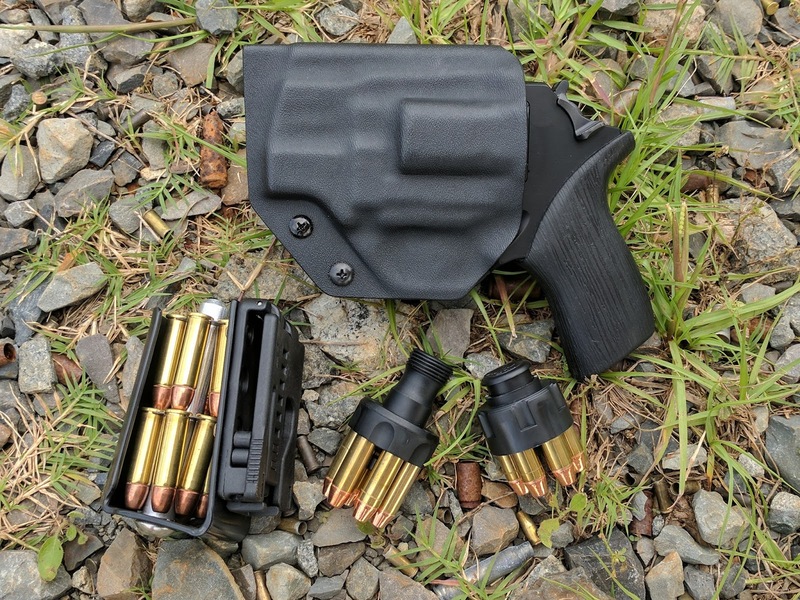 Multi holsters was the first company I found with a quality OWB kydex holster. 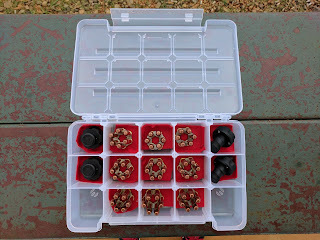 The North Mountain IDPA Moon Clip Holder is really fast to reload from and secure. Finding a kydex holster for the Rhino actually proved to be very challenging. I was hunting for an outside the waistband (OWB) holster that uses a Blade-Tech Tek-Lok for the convenience in adjustment. 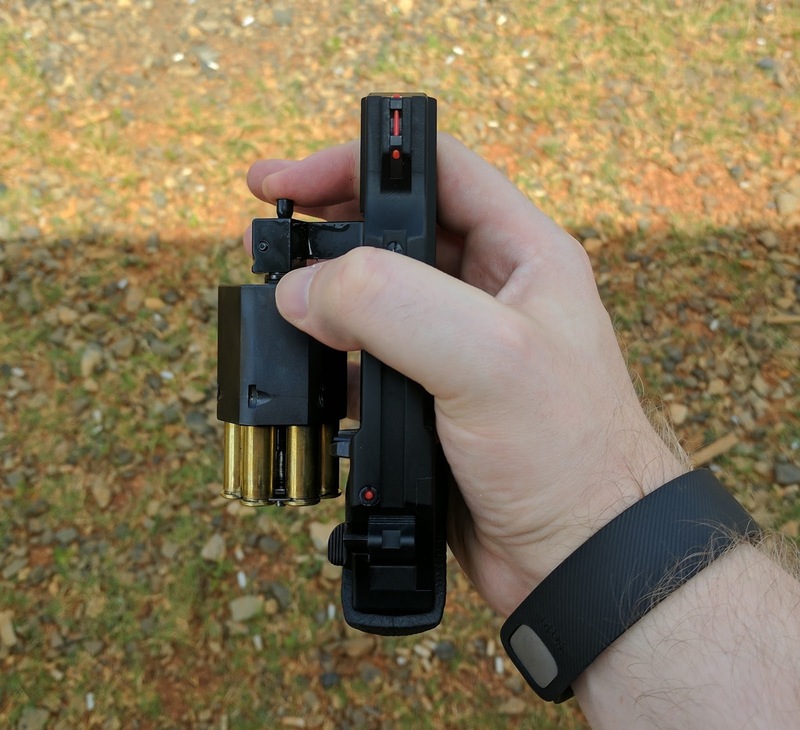 I also searched for a moonclip holder that would securely and unobtrusively hold two loaded clips while attaching to the belt with the same Tek-Lok as the holster. 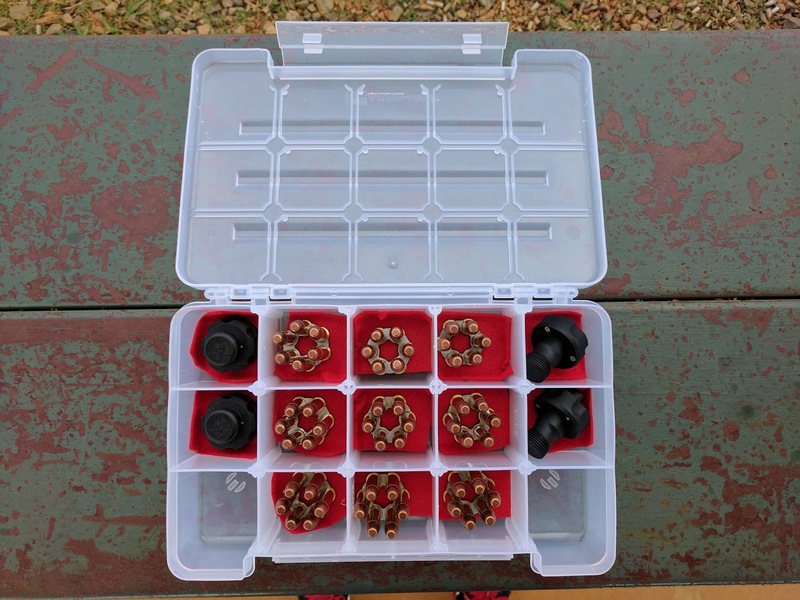 The North Mountain IDPA Moon Clip Holder seemed like a great choice but the center post turned out to be thicker than the center hole in the moonclips. My gunsmith was able to machine down that post to ensure proper fit. Now the clips slide in and out smoothly. I definitely recommend this set up for moonclips, but there are other designs on the market should this not strike your fancy. does not quite clear the mouths of each chamber. The biggest criticism I can muster against the Rhino is also a criticism of short barreled revolvers in general; the short length ejector rod. A short ejector rod sometimes fails to extract all spent cases even with a firm whack. In my experience, the Rhino typically hangs up a few times each range visit. It actually bothers me so much that I only use moonclips to ensure every chamber of the cylinder is clear of spent casings. If there is anything that will make me sell this revolver, it will be the the ejection issue. (Well that and IDPA updated the rules of the Back Up Gun-Revolver (BUG-R) division to favor 5 shot revolvers.) While I don't currently handload, a .38 Short Colt might be an acceptable compromise. The slightly shorter case length may eject smoother and with the proper load, attaining a similar speed with a similar weighted bullet should be possible. This might be a fun project for the future. This design offers tangible improvements to both comfort and accuracy. 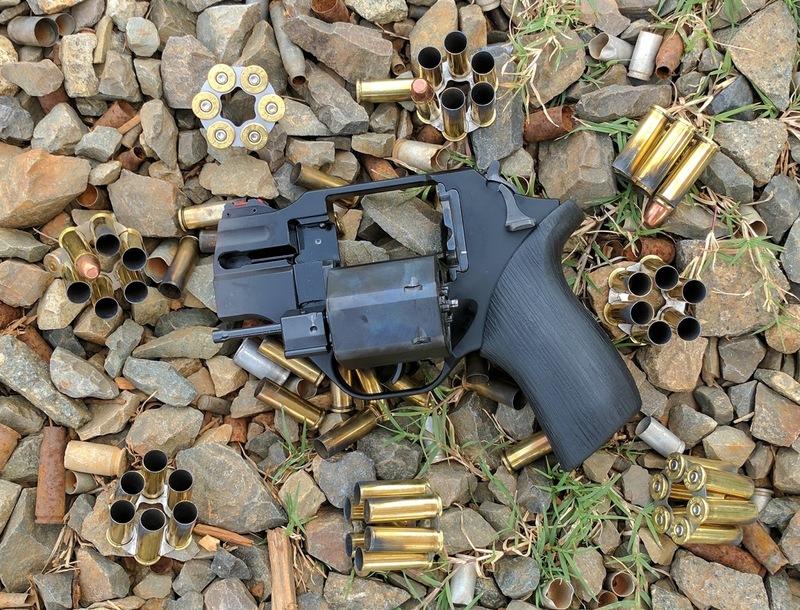 The Rhino is the most complete realization of Ghisoni's vision, a revolver with lower bore axis which reduces felt recoil and minimizes muzzle flip. The option to use speedloaders or moonclips allows the user to determine if speed or reliability is more important. A moonclip in the cylinder and a speedloader in a pouch or pocket is the best way to field this system. The addition of newer features as factory specifications are a subtle upgrade to a standard wheelgun equipped with iron sights, higher bore axis, and no option for moonclips. The Rhino has enough in common with traditional wheel guns that those familiar with the revolver mechanism should have little issue adjusting. As a revolver, new shooters can be educated on operation relatively quickly. I am absolutely sold on the concept and recommend it to everyone, particularly those averse to recoil. In my opinion, this is the next step forward in revolver design. Should Chiappa market a model chambered in .44 Magnum, I might just start shooting the caliber more frequently. Special thanks to www.MatebaFan.com for the information on these designs and their creator. The owner of this website has some stellar reviews on the aforementioned Mateba products as well as other interesting designs. Please visit the page! As always, please comment below if you have an suggestions for future posts or would like to share your experience on the current topic.